The LG G7 isn't even available yet, but that hasn't stopped LG from pushing out another big, expensive phone in the V35. 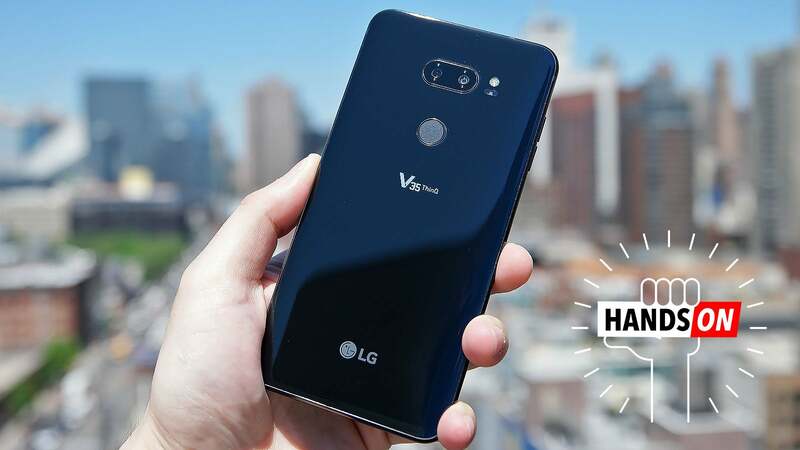 It's rather unusual timing, as LG's V-series phones traditionally don't come out until spring, and the "35" in its name suggests that this phone is merely of a half-step before an all-new V40 gets announced later this year. 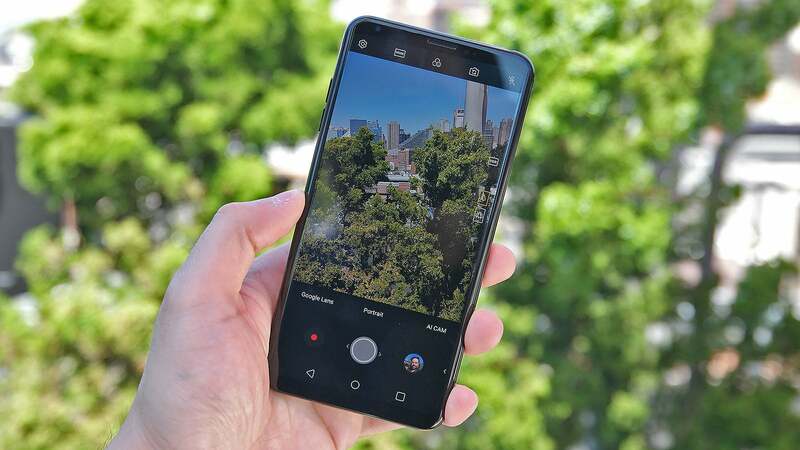 And sporting a pretty standard glass-sandwich design with rounded corners and dual-rear cameras, the V35 seems to crib a lot of the G7's style too. But when you look a little deeper, there are some important differences between the two that make me wish the V35 was LG's main horse in the smartphone game instead of the G7. Unlike the G7, the V35 doesn't have a dedicated button for the Google Assistant or a notch at the top of its screen. And because LG didn't include the G7's bass-heavy Boombox speaker either, the V35 has a larger 3,300 mAh battery compared to the undersized 3,000 power pack in the G7. Like LGs of old, the V35 even has a home button that's built into its rear finger sensor, instead of cluttering up the side of the phone with one more thing to press. It's almost like LG took all the charm and character it forgot to include on the G7 and saved it for the V35. Meanwhile, almost all the best things about the G7, the V35 has as well. It's got a Snapdragon 845 processor, 6GB of RAM (versus 4GB for the G7), 64GB of storage (with a microSD slot), IP68 water-resistance, dual 16-MP rear cameras, far field mics, and the same 32-bit DAC for all the wired headphones lovers out there. The V35 even has a 6-inch OLED screen, which as you can see from these pictures isn't as bright as the 6.1-inch 1000-nit LCD panel on the G7. But what the V35 lacks in luminance, it makes up for in colours, with richer, more saturated hues that the G7 can't match. Then, on the inside, LG has partnered with Google to make Google Lens part of the V35's camera app. Now it's easier to leverage Google's AI smarts to identify flowers or different kinds of dogs without needing to dig around in Google Photos. It's a similar tactic to what Samsung has been trying to do with Bixby Vision, just a bit more streamlined. So while I haven't spent enough time with the V35 to pass any sort of final judgement, this phone has enough to make me wonder why LG even bothers with G-series phones anymore. What started out as a quirky line meant to demo bits of assorted tech has now evolved into LG's most interesting handsets. Unfortunately, with the pricing expected to fall in line with recent V-series devices (around $1,199), the V35 may still be a little too pricey for a lot of people's budgets. We don't have an Australian pricing or release date yet.